Flat roof repair can be complicated since there are so many different types of flat roofing systems. Luckily Paul’s Roofing offers all types of roofing repair to help you fix any type of flat roof. Cap sheets are used to create water-tight surfaces on BUY and modified bitumen roofing. Without it you roof can be left exposed to water that can seem down and damage the interior portion of your home or building. If you are noticing problems with your roofing cap sheet or it is really bad condition, get it repaired right away to avoid more damage. One of the biggest problems with EPMD roofing is improper installation. Without sealing the roof properly water can travel to decking and interior portions of the building. If your EPDM rubber roof is not attached to walls, corners and pipes correctly it could be allowing water in. Shrinkage is also another common problem with EPMD roofs. Foam roofs make a great roofing system for Arizona but come with their own challenges. The most common problems with foam roofing systems include hole punctures, sealant layer de-laminating or deteriorating, bad flashings, ponding water, separation and blistering. Fixing these issues or recoating the foam is usually the solution. Modified bitumen roofing systems are one have coatings that can become punctured or cracked. Patching is usually the most common repair option. We determine the extent of the damage, clean the membrane, use mastic coatings to apply to affected area to patch it and then use a polyester membrane to reinforce it. Common problems with PVC roofing systems include ponding water, lack of adhesion, seems not welded properly, missing edge flashing, improper drain assembly, no sealant, no clamp, sealant cracked open, improper repairs, damaged membrane and more. We can repair any of the above problems with your PVC roofing system. Roof coatings typically last about 20 years with proper flat roof maintenance. We can repair any type of roof coating including aluminum relflectant roof coatings, asphalt emulsion roof coatings, acrylic roof coatings, polyurethane roof coatings, Kynar roof coatings and silicone roof coatings. Sometimes repair is as simple as re-coating. Roof leaks are a big problem with tar and gravel roofing systems. Tar cracking and exposed roofing paper are 2 of the major causes of roof leaks in tar and gravel roofs. The challenge is finding the leak. Leaks can hide under gravel making it hard to detect water ponding. Ponding can accelerate the deterioration of your roof. TPO roofing systems usually last about 10 years with proper roof maintenance. Patching TPO roofs can be difficult due to the need of hot-air welding tools and TPO patching material. Don’t try to patch your TPO roof yourself or you could end of voiding its warranty. 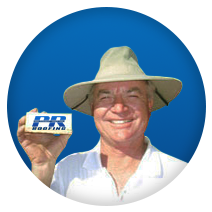 Let a professional roof repair specialist repair your TPO roof for you. Water doesn’t run off the roof’s surface like pitched roofing systems do. This can lead to ponding of water which is a huge cause of flat roof leaks. Most roof leaks can be fixed with patching punctures or recoating the roof. However, if you roofing system is beyond repair, it might be time to replace it with a water proof roofing system. Flat roof replacement options include Metal, EPDM, TPO, Built-up, Modified Bitumen and Foam roofing systems. Foam roofing especially makes the perfect roofing system for Phoenix Valley homeowners and commercial building owners as it can last up to 45 years with proper roof maintenance and re-coatings every so often. Want to install a new flat roof? 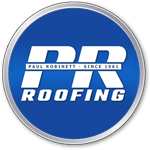 Paul’s roofing offers affordable and professional flat roof installation. We can install nearly any type of flat roofing system including cap sheet, metal, EPMD, TPO, built-up, modified bitumen, foam, tar & gravel roofing systems. We specialize in spray foam roofing installations in the Phoenix Valley. According to Exterior Pro Roofing Inc, the average cost of flat roof repair is about $400. Costs range from $200-$600 in 2018. We offer Free Foam Roofing Quotes in Phoenix, Scottsdale, Mesa and Gilbert, Arizona, with no obligations! We can answer all of your questions and work with your budget and schedule.